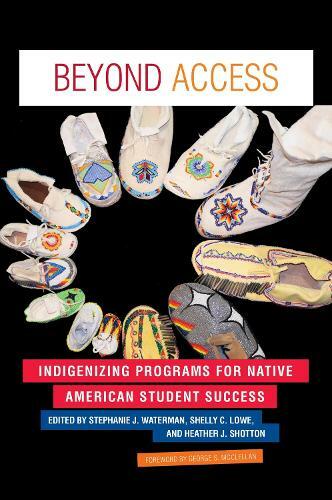 This book argues that two principal factors are inhibiting Native students from transitioning from school to college and from succeeding in their post-secondary studies, and presents models and examples of pathways to success that align with Native American studentsaEURO ™ aspirations and cultural values. Many attend schools that are poorly resourced where they are often discouraged from aspiring to college; and many are alienated from the educational system by a lack of culturally appropriate and meaningful environment or support systems that reflect Indigenous values of community, sharing, honoring extended family, giving-back to oneaEURO ™s community, and respect for creation. The contributors to this book highlight Indigenized college access programs, meaning programs developed by, not just for, the Indigenous community, and are adapted, or developed, for the unique Indigenous populations they serve. Individual chapters cover a K-12 program to develop a Native college-going culture through community engagement; a aEURO crash courseaEURO offered by a higher education institution to compensate for the lack of college counseling and academic advising at studentsaEURO ™ schools; the role of tribal colleges and universities; the recruitment and retention of Native American students in STEM and nursing programs; financial aid; educational leadership programs to prepare Native principals, superintendents and other school leaders; and, finally, data regarding Native American college students with disabilities. The chapters are interspersed with narratives from current Indigenous graduate students. This is an invaluable resource for student affairs practitioners and higher education administrators wanting to understand and serve their Indigenous students.